MIDA is thrilled to announce the launch of its NEW corporate identity which includes a complete redesign of its company logo, NEW literature and a vibrant, inter-active NEW website! Aico Ltd. has launched a completely new website aimed at providing its customers with useful information and unique features. In particular it provides comprehensive information for specifiers looking to specify Aico's market leading Ei Professional range of mains powered fire alarms. New 10th Edition Product & Solutions Guide for Flexible Conduit. Flexicon are delighted to announce the launch of our new 10th Edition Product & Solutions Guide for Flexible Conduit. GreenBrook expects warm welcome for new Digital Thermsotat range. 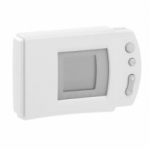 GreenBrook Electrical has launched a range of three new digital thermostats offering accuracy, ease of use and energy efficiency. The most important standard EN 61010 for measuring instruments has been modified in section 031. This will be valid from 01.03.2011. Measuring accessories must be adapted accordingly in order to fulfil the increased safety requirements. With Fluke you are on the safe side! There have been recent past notifications explaining the on-going brand migration and range rationalisation for Thorsman and Tower ranges to Schneider brand. Aico Ltd. has published a new Housing Specifier's Pocket Book designed to provide anyone involved with specification with all the information they require to produce a robust fire and Carbon Monoxide (CO) detection system specification for virtually all types of single family dwellings and many Houses in Multiple Occupation (HMO). GreenBrook has launched a comprehensive new range of mains powered smoke, heat and carbon monoxide alarms, all of which are being offered with a five- year guarantee.